«There is still much to do» illustrated quotation. Child Labour, free quote pictures for Facebook, Twitter, LinkedIn, Reddit, Pinterest and other social networks. In the past, children were all too often viewed more as property than people. 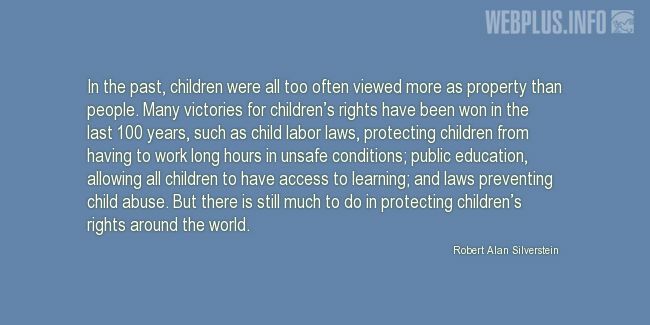 Many victories for children’s rights have been won in the last 100 years, such as child labor laws, protecting children from having to work long hours in unsafe conditions; public education, allowing all children to have access to learning; and laws preventing child abuse. But there is still much to do in protecting children’s rights around the world.